Star-Lord. Grounded - купить по выгодной цене | Магазин комиксов "Двадцать восьмой"
Peter Quill might have been born on Earth, but he's been away a long time. 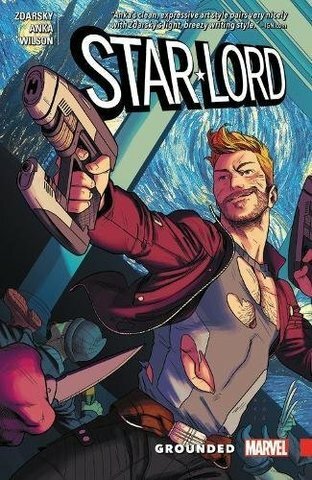 And now that the Guardians of the Galaxy have gone and got themselves stranded on terra firma, how does a man go from soaring through the stars as the legendary Star-Lord, to living with his feet planted firmly on the ground? What kind of job options are available for a guy whose résumé mostly consists of "guarding the galaxy"? One thing is certain: Earth has a new guardian. Also, a new bartender.